If you’re an INFJ, you probably know what it’s like to feel misunderstood. 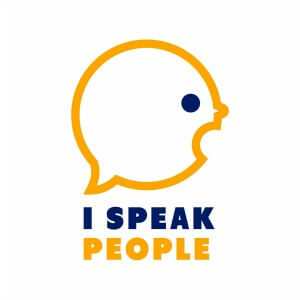 We INFJs make up just 1-2% of the population after all. Because I’m an INFJ and INFJs are so rare, there are a number of things people don’t know about me that I wish they did. So I’ve decided to share a few of those particulars in this post. These 73 thoughts and observations are in random order. Furthermore, while many of these traits and characteristics are true of most INFJs, please keep in mind that some are unique to me. Want a life that better suits your INFJ personality? Download the list of My Favorite INFJ Resources to discover how to create it. 1. I’m hyper-sensitive to criticism. Most INFJs – myself included – are prone to take feedback personally. 2. I have a good idea what people are thinking and feeling before they tell me. 3. I enjoy people in one-on-one settings and in small groups. 4. I hate chores and routine tasks. 5. I could spend my whole life on a quest to discover God’s unique purpose for me. 6. I struggle to be in and enjoy the moment. My mind either drifts into the future or into thoughts and feelings. 7. I love ideas, insights, and “ahas!”. 8. I, as are most INFJs, am a personal growth junkie. 9. My idea of fun is working alone on a meaningful project for hours. 10. I can get so caught up in research or in a project that I lose track of time and forget to eat. 11. I’m creative and need an outlet for creativity, so I write. 12. I crave depth in relationships. 13. I need to be alone. 14. I have an insatiable appetite for learning. 15. Problem solving fires me up. 16. I struggle to share clear, concise thoughts in casual conversation because I tend to mull over a number of ideas simultaneously. 17. After a long week, an exciting Friday is one I spend at home doing research. 18. Designing and implementing organizational systems that enhance my efficiency makes me happy inside. 19. People think I’m an extrovert – but I just have decent people skills. I’ve got to be alone to recharge. 20. I live in the future: I love to plan a year, 5 years, 10 years, or 20 years in advance. 21. As an INFJ, I tend to think more like a 90-year-old than the 30-year-old I am. 22. I’m temperamental and prone to high highs and low lows. 23. I have a hard time doing work that I’m not passionate about. 24. I see other people’s points of view pretty easily. 25. When other people can only see their perspective – and they think the rest of the world is broken – that really frustrates me. 26. I love figuring out what makes other people tick. 27. While sticking to one train of thought is difficult for me, writing is way more natural. The writing process gives me time to think and sort through my ideas. 28. There’s a part of my brain that plays with words all day long. 29. I come up with extemporaneous raps, rhymes, poetry, and puns on a daily basis. 30. I write personalized songs and poems for people I know well. 31. I’m reticent to share what I really think and feel because I’m so sensitive to criticism. 31. I’m a perfectionist, and “good enough” is almost never good enough. 32. I’m an intuitive, abstract thinker and can be impractical. 33. I prefer to communicate in analogies and metaphors. 34. I think about what my life will amount to when all is said and done on an almost daily basis. 35. People say that Martin Luther King, Jr., Ghandi, and Mother Teresa were INFJs too. 36. I’m a messed up sinner like everybody else. 37. I love technology for how it eliminates routine work, evolves and changes, communicates, and weds concepts. 38. If it weren’t for my dad, I’d be horrible with money. As it is, I’m the spender in my marriage. 39. Where I live doesn’t matter as much as what I do and why I do it. 40. I get so caught up in my head and my thoughts that I’m prone to walk into doors. 41. I’ve walked into several of them at night when the lights were off. Even though I should know the inside of my house like the back of my hand, I forget where things are and have poor depth perception. 42. Words of affirmation and quality time with people who are close to me fills my love tank. 43. I do enjoy having fun and acting ridiculous with people who know me well. 44. My primary school teachers worried that I couldn’t think logically. Thankfully, that part of my mind has developed over time. 45. Until I married my wife, I had a hard time being direct and telling it how it is. I was scared to death of hurting other people’s feelings. 46. I love to make people laugh. 47. I create a goal log each week that helps me make progress toward my long-term goals. 48. I track my progress in a personal growth spreadsheet. 49. I try to journal my top three daily priorities Monday through Friday. 51. Sharing insights and helping other people better understand themselves excites me. 52. I’m like an iceberg. What I say out loud is the tip. The goliath mass lurking below the surface represents the crazy thoughts and feelings swarming in my head. They’re always there, regardless of what you see and hear. 53. I generally look calm and placid, but I rarely feel that way. 54. I’m a follower of Christ, and He makes my life worthwhile. 55. I spend more time than I should looking at guitars, boutique pedals, amps, and gear. 56. I have super-high standards for myself and others. 57. My high standards can make me hard to be around, and I get depressed when I fall short of my standards. 58. I’m a dreamer and vision caster. But I’m also a doer. The judging part of me must put ideas into action and make progress. 59. Working for hours on end isn’t really work if what I’m working on is a meaningful project. 60. Physical health is important to me. I try to exercise four times per week. 61. I don’t always do a good job releasing stress and, consequently, am prone to high blood pressure. 62. Money doesn’t motivate me, but meaning and purpose do. 63. When I was single, I lived on a steady diet of footlong turkey subs, Costco pizza, and cereal because I didn’t want to cook or do dishes. 64. My awesome wife keeps me clothed and in my right my mind. 65. If I don’t get up before 5 or 6 a.m. and do something productive – read a book, write, work on a creative project, etc. – I feel like a lazy bum, even on the weekends. 66. I have to listen to music or an audiobook – or psych myself up – to do the dishes. 67. I’ve always loved being an “expert”. When I was I kid, I learned everything I could about herpetology (the study of reptiles and amphibians) and ichthyology (the study of fish). 68. I, as do most INFJs, love Myers-Briggs personality types. 69. I’m a certified Myers-Briggs practitioner. 70. As an INFJ, I depend on introverted intuition (Ni) to take in information and make sense of the world. Ni adds to my complexity as an INFJ because it’s a largely subconscious and, therefore, unobservable process. 71. I’m also concerned with the welfare of others. What most people notice about me first is my tendency to pick up on how other people are feeling. I include others and help everyone get along, which is my extraverted feeling in action. 72. I loathe talking on the phone. 73. I need to push myself to stay involved in community. 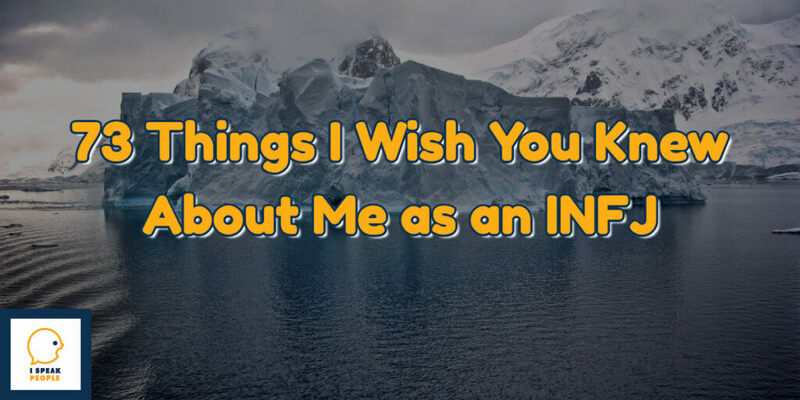 If you’re an INFJ – or if you know one – what do you wish people know about you? Add to the discussion!